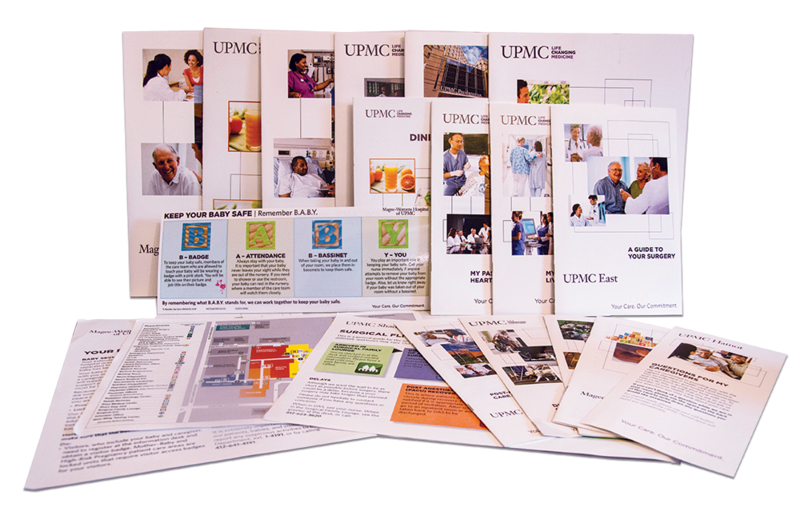 From November 2012 through November 2013, I worked as a freelance production designer for UPMC’s Patient Experience Communications Department. During this one-year contract, I created hundreds of pieces of print work. The job required me take pre-existing designs with specific branding guidelines and create various print pieces, which included: 8.5 x 11 and 5.5 x 8.5 booklets, trifold brochures, medical panel cards, racks cards, posters, one-sheet flyers, specialized binder designs, and more.